Last week the Bank of England provided the country with less than favorable evaluation of the future of the British economy in the face of Brexit. This evaluation resulted in the market and trade slowing down. 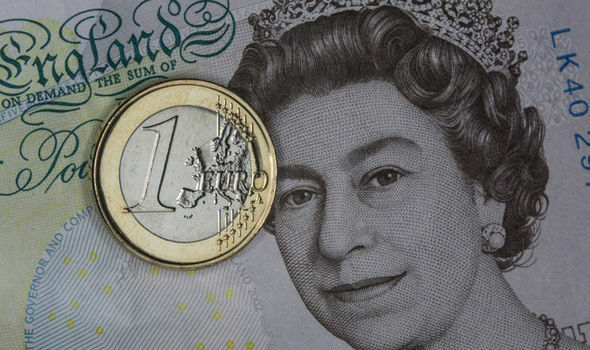 The British Pound seemed to suffer in the face of the inflation data of the Euro released by the Bank of England, which is what led the governor of the Bank of England to release the relatively pessimistic statement. It is the belief of the governor that the country is not prepared for an unfavorable Brexit, and more than half of the businesses in the country are not anticipating the worst case scenario: the no deal Brexit. This pessimistic outlook is driving the market to slow down, with the British pound getting closer to a low point by the day. Something else driving the economy to slow down is the lack of trust demonstrated by the consumers towards the British Pound Sterling. A German market research company reports that British consumers have a waning trust in the economy. All in all, this leaves the British Pound Sterling in an awkward position, losing power against the Euro faster than ever. The latest figures from last week show that the British pound reveals a fall from negative ten points to negative thirteen points. This fortifies the Euro’s position against that of the pound, further driving the British markets to slow down. Despite the continuing negative trend relationship between the two currencies, some remain optimistic. The Bank of England reports that they are expecting more positive data o come out of the first week of December, with the market possibly accelerating to more acceptable levels and breathing new life into the Pound Sterling. This is supported by the data released by Nationwide on Friday last week, showing better than expected housing numbers. Current data shows the GBP to be sitting somewhere along the lines of 1.123 euros. If the predictions are true and new positive data emerges, we might have hope for a better relationship on enough. Until then, we are waiting to see how the Brexit pendulum swings.